The horticultural trade has embraced the new flagship ?Al Fresco Fortnight? event as part of the Love the Plot You?ve Got campaign, which starts on Father?s Day, 19th June. The event aims to get as many people as possible eating outside at least once over the two-week period which also covers the summer solstice, allowing for the optimum number of daylight hours in which to be outside. 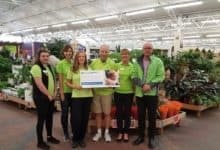 Marketing materials have been made freely available to promote the event nationwide, as retailers, suppliers and manufacturers of horticulture and outdoor furniture prepare to take part in the event.? The industry and consumers alike are being encouraged to host their own Al Fresco events and share on social media tagging @goeatalfresco and using the hashtag #alfrescofortnight. ?The purpose of this event is very simple: by showing people how much fun they can have eating and socialising outside, it will get them using their outside space more and in turn they will want to improve their patio, roof terrace or garden. ?It?s not about making major changes as there are lots of different small things people can do to enhance their outside space ? from hanging new lights to going potty with planters to updating their garden furniture. 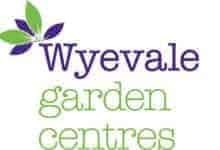 ?If people are stuck for ideas or would like some advice, they can visit the website www.loveyourplot.com or simply pop along to their local garden centre where the staff will be happy to help.? ?This event is a great evolution of Love Your Plot, it is something tangible that the industry can get behind.? 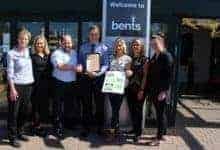 It also comes at a time when we are less busy, and hopefully will give us momentum to continue to drive footfall through garden centres and engage with a younger potential audience.? ?For families, the garden is part of the home and eating outside is fun.? The long days and warm afternoons are ideal for bringing friends and family together. ?June is often the first real time many families get out into their gardens, and a few planted containers on the patio lifts a BBQ to your own mini summer festival!? Al Fresco Fortnight is a great opportunity to extend the season and reach younger garden users with tempting offers and simple ideas.? Plan: Do you want your Al Fresco event to be a party on the patio, romantic dinner for two, a family get-together or dinner for Dad? Prepare: Visit your local garden centre to see what offers are available for Al Fresco Fortnight.? Get advice and products on how to refresh your outdoor space to make it suitable for entertaining. Enjoy: Host your Al Fresco event and stay out till the sun goes down. Share: Go on social media and send us some snaps of your Al Fresco event to win prizes. ?It is fantastic to see how the industry has embraced this event with a variety of on and offline offers to entice customers through the door. It?s such a simple, yet effective concept ? inspiring customers to enjoy their outside space simply by eating in it! ?We believe that by eating outside this all-important consumer group will look at their outdoor space and start thinking about how they want to improve it. This is the all important first step to becoming a regular garden centre visitor. ?